Caldwell House Bed and Breakfast, the multi-award winning Hudson Valley inn, is located in the heart of New York’s Orange County. The area is just brimming with activities, attractions, and adventures! Check out our Facebook page where we are constantly updating our page for things to do, places to go, etc. The United States Military Academy at West Point was founded by George Washington and Thomas Jefferson in 1802 (coincidentally, the same year the Caldwell House was being built) on the site General Washington considered being the most important strategic position in the Colonies during the Revolutionary War. The USMA at West Point is widely recognized as one of the world’s great universities and has produced many of the country’s most famous and heroic leaders. Make touring the grounds of the USMA at West Point a highlight of your stay. It will be a day you will long remember! West Point Tours, Inc. – (845) 446-4724 – provides one or two-hour bus tours of the campus. 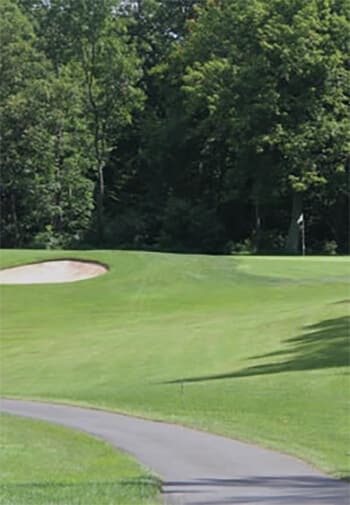 While you are there, why not play John’s favorite local golf course – The West Point Golf Course. It’s a beautiful mountain course nestled between the Hudson River and Storm King Mountain. Each hole is dedicated to a major military action that West Point graduates served in. Widely celebrated as one of the world’s preeminent sculpture parks, Storm King Art Center has welcomed visitors from near and far for over a half-century. Situated on 500 pristine acres of fields, hills, and woodlands, and buffered by 2,100 acres of Schunnemunk Mountain (now owned by the State of New York and designated Schunnemunk Mountain State Park) that preserve Storm King Art Center’s view-shed, visitors are treated to dozens of famous sculptures from the world’s most recognized artists. Storm King’s season runs from April through November (weather permitting). The grounds remain open until 8:00 pm on Saturdays Memorial Day weekend through Labor Day weekend. By Bus: Coach USA (Short Line Bus) offers two different day packages to Storm King, leaving from the Port Authority Bus Terminal (42nd St. & 8th Ave. on the 3rd Floor) in New York City. Please visit www.coachusa.com or call 800-631-8405. By Train: New Jersey Transit/Metro North also provides service from Penn Station to the Salisbury Mills train station, three miles from Storm King by taxi. For more information see: www.njtransit.com. Uber is available to pick you up and take you to the train station. Commonly acknowledged as the oldest operating winery in the United States, Brotherhood Winery was started by a European immigrant named John Jaquesin 1838. The winery has a fascinating history – surviving changes in ownership, Prohibition, and a devastating fire in 1999, but new ownership has reinvigorated Brotherhood, returning it to the prominence that John Jaques envisioned 175 years ago! Brotherhood’s team of knowledgeable guides will reveal the secrets of the mysterious vaults, excavated by hand in the late 19th Century, and will regale you with their comic and tragic tales. The tour will get you well acquainted with the complete winemaking process, and you will feel like an expert in the field. The difference between a merlot, pinot noir, and cabernet sauvignon will no longer seem perplexing and a finer palate will be acquired. Small to medium in size, the fourteen wineries on the Trail all are proud of their well-crafted red and white wines that range from bone dry to dessert sweet. The Trail has recently become well known for its prize-winning wines across the nation. Throughout the year, fun events are held leading up to the extraordinarily popular “Wreath Fineries” Holiday Season tours. The Trail is easily accessible from the Caldwell House Bed and Breakfast, which is centrally located within the Trail. If you plan on coming with a group, call us to help set up transportation. Relax and leave the driving to someone else! In addition to numerous wineries, the area has lots of wonderful breweries, distilleries, and cideries. Plan a tour to see as many as possible! Angry Orchard – crafting ciders for 20 years recently expanded to their our very own orchard in Walden, NY, located in the heart of the Hudson Valley. Blu Pointe – A guest favorite! The atmosphere at this popular local restaurant is very pleasant with a gorgeous view of the Hudson River. Bella Luna Ristorante Italiano – a fabulous Italian Restaurant. Great food, service, and ambiance! Only 4 short miles away. Liberty Street Bistro – a fantastic Newburgh restaurant! Loughran’s Irish Pub – “The Hudson Valley’s Happiest Irish Pub” located just next door to us. Great food, friendly service, and you can’t get any closer! Walk on over and enjoy a freshly poured pint! Il Cenàcolo – Cenàcolo is known in the Hudson Valley for its classic Tuscan cuisine made with fresh ingredients. If you are searching for that perfect Polletto al limone or Risotto alla pirata, Cenàcol is definitely the place to try. Schlesinger’s Steak House – USDA Prime Porterhouse & T-bone steaks, fresh seafood, pasta, barbecue ribs, and more! The Canterbury Brook Inn – Switzerland meets the Hudson Valley in Cornwall NY. Wonderful! Painter’s Restaurant – an inn, a restaurant, and an art gallery offering an eclectic menu of Italian, Japanese, Mexican, and American fare, served in a casual atmosphere. The Iron Chef – This Newburgh restaurant serves all the go-to hibachi dishes like chicken, steak, and salmon, it also switches things up with proteins like Chilean sea bass and roasted duck. Culinary Institute of America – Four restaurants to choose from in this world-renowned cooking school. Many Other Great Restaurants – ask us about favorite local restaurants – from 5 Star to Take Out- Can we make a reservation for you? We continually update our Facebook Page to list Attractions and Things to See and Do. Also, check the Orange County Tourism site to find all sorts of fascinating facts about the area. Woodbury Common Premium Outlets – Over 200 stores. Shop until you drop. Storm King Art Center – The largest outdoor sculpture park in the world. Just five minutes down the road from the Inn. DIA: Beacon – Contemporary art in a former cereal box manufacturing building. Manitoga – The Russel Wright Design Center – Home of a principal innovator of home and landscaped design. Bethel Woods Center for the Arts – Presenting some of the country’s top classical, rock, pop, jazz, and country entertainers. Stay with us coming or going. Just an hour north of us. Orange County Choppers – An American Success Story. Originally started as a sideline family business in the 1970s, building custom motorcycles on the side as a hobby. In 1999 the now world-famous, Orange County Choppers was founded. Motorcyclepedia Museum – The collection spans well over 400 motorcycles, including hill climbers, Harleys from throughout the years, military and police motorcycles, choppers, Japanese motorcycles, British motorcycles, and motorcycles from American manufacturers from years past. Museum Village -The largest living history museum in New York State. Sugar Loaf Arts and Crafts Village – Surrounded by apple orchards, wineries and horse farms, the eclectic and charming village was transformed into a thriving crafts center in the 1970s by the hard work of a handful of dedicated artisans. U.S. Military Academy at West Point – Magnificent setting “I love a parade…” sports… entertainment… fireworks…history… breathtaking views of Hudson River. Gomez Mill House – (17I4) the oldest existing Jewish residence in the U.S. Now that is tradition, right here in Orange County. Boscobel House and Gardens – A classic Federal style home with superb views of the Hudson River Valley. Washington’s Headquarters – A Caldwell family member helped establish this landmark in 1850 as the first publicly operated historic site in the United States. 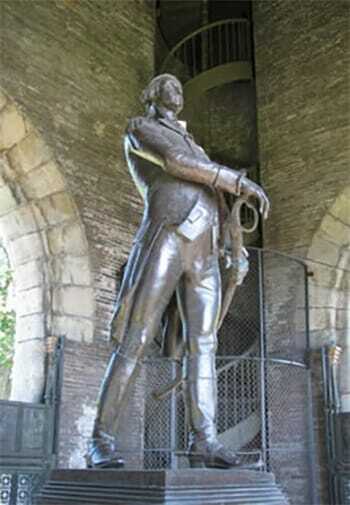 General Knox’s Headquarters – and other historic American Revolutionary sites. The Werner House/Constitution Island – Beautiful setting in the Hudson River near West Point. Roosevelt and Vanderbilt Estates – A pleasant drive away in Hyde Park. Locust Grove the Samuel B. Morse Historic Site – An important painter besides an inventor. Whether it is on the slopes, greens, trails, or tracks, adventure ranges over our Hudson Valley. Orange County has everything from two ski areas to the very first part of the Appalachian Trail. Golf is huge and no matter what your game, you will find the perfect course. Or chart a course on our waterways. Orange County is the only county in New York State between two rivers, the Hudson for cruising and kayaking, the Delaware for rafting and canoeing. If you’d rather pedal or walk, there are literally scores of wonderful nearby trails suited for all levels including the landmark Heritage Rail Trail, which has 15 paved miles of path wandering through some great scenery. Balloon Rides – Hot air balloon rides just a half hour away. Biking – Take your Bikes and come by train. Salisbury Mills/Cornwall Metro North station only 1 1/2 miles away. Bird Watching -The Hudson Valley hosts a wide variety of sanctuaries and preserves owned and maintained by the Orange County Audubon Society. 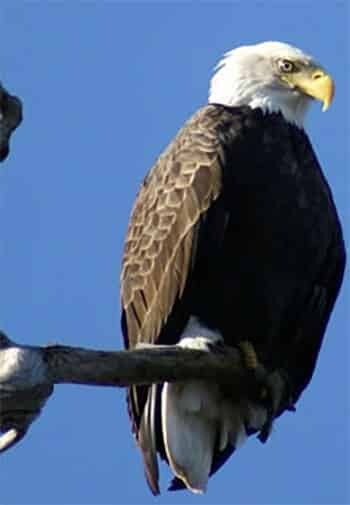 It’s not unusual to see bald eagles! Golf – there are many beautiful courses in Orange County. You’ll be shocked at how cheap it is to play such beautiful courses! Schunemunk Mountain – A half dozen marked trails ranging from just over a mile and up to almost 10 miles. Crows Nest Mountain – many spectacular viewpoints over the Hudson River and the Highlands. Storm King State Park – offers unsurpassed views of the Catskills and the Hudson Valley. Black Rock Forest – Marked and unmarked trails ranging from short walks to long hikes. Walkway Over the Hudson State Historic Park – A former rail bridge, the trail highlights the Hudson River’s breathtaking landscape for pedestrians, hikers, joggers, bicyclists, and people with disabilities. The bridge deck stands more than 200 feet above the river and is over 1.25 miles long, making it the longest pedestrian bridge in the world. Horseback Riding – arenas and trails are abundant in Orange County, home of the oldest harness racing track in the world. This is horse country with scenic rolling hills marked by miles of rustic fencing. Swimming – Hudson Valley pools, lakes, and beaches are plentiful for cooling off and practicing your swim strokes. Bear Mountain State Park – 4 seasons of fun. Pool in the summer – Ice-skating in winter. Spectacular views & 5000 acres of trails. Harriman State Park – the second-largest park in the NYS parks system, Harriman State Park offers visitors opportunities for viewing a wide variety of wildlife, photographing scenic vistas, hiking 200 miles of trails, exploring miles of streams and 31 lakes and reservoirs. Features of the park include Lakes Silvermine, Sebago, Welch, and Tiorati, and the Anthony Wayne Recreation Area. Storm King Adventure Tours– Offering great kayaking, mountain biking and hiking tours of the area. Fall Foliage Loop – Scenic drives through the Orange County countryside. Visitors come from all over the world to see the spectacular fall colors in the Hudson Valley. The region is one of five in the world that can boast the eye-popping transformation of the trees starting in mid-September. Building to a riot of red, orange, copper and gold by Columbus Day weekend here in Orange County, any road will provide a sensational display, but this route takes full advantage of our scenic country roads. Historic Homes and Manors – Before the Vanderbilts and Rockefellers built their grand mansions in the Hudson Valley, the landed gentry resided in their own luxurious comfort. Charming in their décor, the historic homesteads of Dutch traders, farmers and Revolutionary patriots have left their own architectural legacy for visitors to experience throughout the scenic countryside of Orange County. Free Attractions – Visit some wonderful attractions in Orange County that are absolutely free. Examples of great activities include: The National Purple Heart Hall of Honor (845-561-1765) on the grounds of the New Windsor Cantonment. The Last Encampment of the Continental Army (845-561-5073) with replicas of military huts that housed Revolutionary War troops. Switch gears and go to the Harness Racing Museum and Hall of Fame. There is so much to do. Christmas Tree Farms – Come pick and chop down your own tree! Moodna Viaduct Trestle – The largest railroad trestle spanning a landmass east of the Mississippi. Breathtaking views. The Moodna Viaduct appears as a prominent feature in the 2007 film Michael Clayton. Wow! So much to see and do! Roe’s Orchard – Growing apples and pumpkins and baking pies since the early 1800s. Jones Farm – 190 Angola Road, Cornwall 12518. 845-534-4445. Country store with gifts and bakery with homemade pies. Weirs Dairy Bar – A local landmark drive-up ice cream. You half expect “The Fonz” to be hanging out with his friends at this vintage spot just down the street. The ice cream is out of this world – Yummy! The Apple Pie Trail- Delicious old-fashioned apple pie made from the freshest fruits picked in Orange County where more than a thousand acres of orchards produce more than 25 varieties of apples. Many orchards bake right on the premises. Some have a selection of pies on hand; others suggest that you call ahead to place an order. Pick your own fruit in season for use in your favorite recipe.